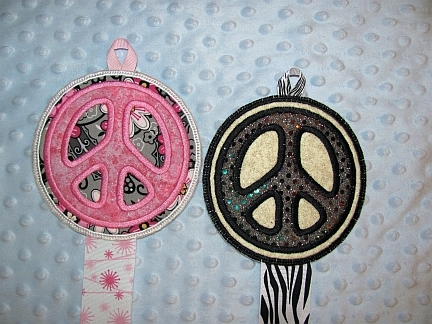 This cute & funky Peace Sign bow holder will be a hit with your tween looking to organize all her hair pretties! She will love it in her room! The peace sign will be done in sparkly sequin or glitter fabric with a coordinating fabric surrounding it. You choose Peace Sign color--the attached 3 foot grosgrain ribbon will coordinate with it.